Many people have asked me about the remote controller I use to control my supercars. My usual remote controller is a triple controller, it is made with 3 normal PF remote controllers joint with some added elements to make it easier to use. With this controller I can control all functions in my MOCs at the same time, it is much more comfortable than use a "two lever" controller. The main added elements are a steering wheel in the right site, a trigger between first and second controller and a front big lever to change speeds. Its construction is very simple, but to help people to build it more easily I have prepared a step by step instructions. 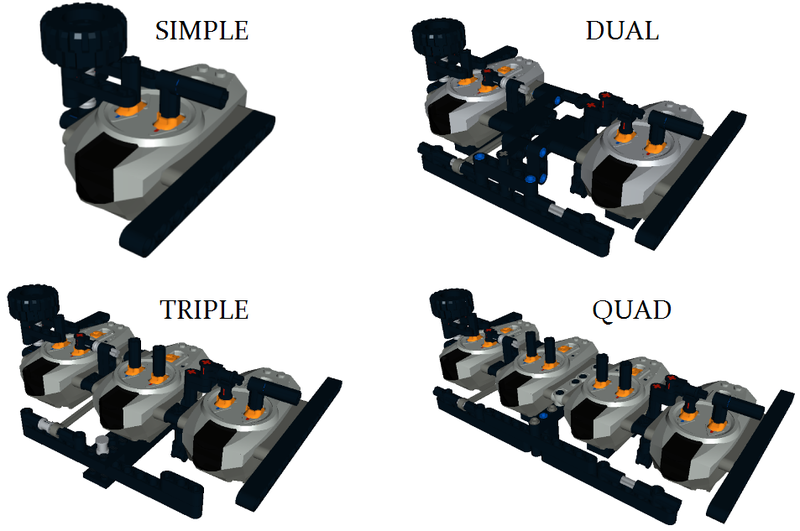 Also I know that not all MOCs needs to use 3 controller, so I have made 3 more versions to use 1, 2 or 4 controllers. I hope this will be very usefull for you!! Thank you for the instructions. Very helpful..